17 Clivejay Street, Glen Waverley 3150. A spectacular performer with grace and elegance, conspicuous by her artistry, Ushanthini is a gifted exponent of the ancient art of Bharatha Natyam with a dance career spanning many years. 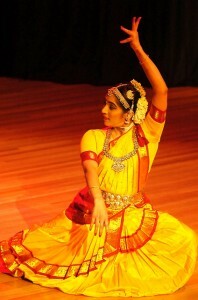 Her dance loving parents inspired her initial interest, helping to create and encourage a love towards Bharatha Natyam. She inherited the Kalashetra style of dancing and coaching from her guru Smt. Anusha Tharmarajah, a graduate and a former teacher of Kalakshetra, Madras. Developing into an accomplished artist, she made her Bharatha Natya debut at thirteen years of age. After gaining a Diploma in Bharatha Natyam, Ushanthini continued to develop and refine her talents achieving recognition as a leading interpreter and choreographer in this art form. Her career highlights include, stage and television performances in Sri Lanka, and the receiving of wide acclaim for her work in Australia since moving here in 1990. Strongly believing in sharing her talents with other aspiring artists, Ushanthini taught Bharatha Natyam with the Vivekananda Society and then with Sharada Kala Nikethanaya of the Indian High Commission of Sri Lanka. In 1990, she founded her own dance school “Natyalayaa” in Melbourne. Since then, her school has been a pace-setter with a scintillating record on performance, innovation and service to mankind. Ushanthini became a mentor for many students, winning their respect and affection by adopting a caring approach that encourages the development of individual skills and striving for excellence. Her school advocates a teaching technique which requires the satisfaction of a strict criteria to uphold the very essence of Bharatha Natyam while preserving its sanctity. To mark the 10th anniversary of her school, Ushanthini released the world’s first compact disc on ADAVUS, an unprecedented achievement to invigorate classical dancing both in Australia and beyond its shores. Although altruistic by character, Ushanthini is well known for her gifted performances and generous contributions to the wider community. Ushanthini is deeply committed to cross-cultural interaction, and is keen to teach, develop and promote Bharatha Natyam to people of non-Indian background as well as people of Indian descent. She is currently developing dance networks in Australia and overseas. As part of Ausdance 2000, Ushanthini held a successful workshop in Bharatha Natyam, and performed at The Canberra Theatre. During Dance Week 2000 in Melbourne, Ushanthini, in collaboration with dancer Elizabeth Lea and percussionist and composer, Eugene Davies, conducted “Crossing Point”, a day long workshop introducing and exploring Bharatha Natyam, Indian arts and contemporary dance. 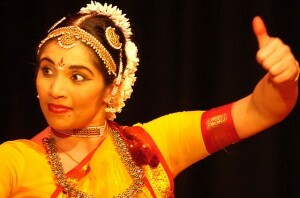 Despite her impressive record of achievement, Ushanthini still harbours many aspirations, including developing further her own choreography and performance skills, continuing to expand and improve her workshops with the aim of providing skills and opportunities for young people to express themselves, explore and be innovative within Bharatha Natyam. Through her performing artistry, teaching ability and great love for her chosen dance form, Ushanthini continues to promote and develop Bharatha-Natyam providing cultural enrichment and enjoyment across cultural and generational barriers. She gratefully acknowledges the generous support of her family, without which, she would be unable to continue and share her exciting journey in dance. Her artistic talents, teaching capability and her innovative skills combined with her aptitude to communicate her dance to the audience have given her the leading edge in Bharatha Natyam in Melbourne. (I was sitting next to you in today’s dance performance)?